Duke Energy and the N.C. Department of Environment and Natural Resources continue to confound and confuse families that have the unfortunate luck of living in close proximity to the utility’s coal ash lagoons. So citizens and county officials are stepping in to help residents air their frustrations and, hopefully, to receive some answers. Last week, the U.S. Environmental Protection Agency ended a decade of confusion with the release of a long-awaited Clean Water Rule, which clarifies the scope of waters that are protected under the Clean Water Act. As the EPA pursues updates to the “effluent limitation guidelines,” we hope the Obama administration ready to continue the trend of strengthening and modernizing the Clean Water Act. On Tuesday, DENR announced a historic $25.1 million fine for coal ash pollution at Duke Energy’s Sutton power plant. 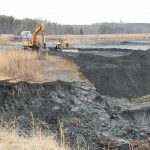 The agency also recently released updated permit drafts for coal ash ponds at other sites, proposed to “better protect water quality near coal ash ponds until closure plans are approved.” Though permitting the pollution will lead to better monitoring, it does nothing to stop or even stymie the toxic discharges. 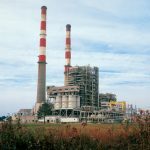 Duke Energy likes to use a tagline about how, for more than 100 years, it has provided affordable, reliable electricity to its customers “at the flip of a switch.” But a year after the Dan River spill, Duke seems to accept that coal ash pollution has its own chapter in the company’s corporate story. Now, facing federal criminal charges, Duke will pay for its crimes. 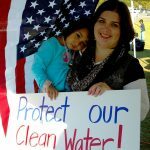 The U.S. Department of Justice has filed criminal charges against Duke Energy for violating the federal Clean Water Act at coal ash sites across North Carolina. The company announced today that it has reached a plea agreement with federal prosecutors to resolve the charges that includes $102.2 million for fines and mitigation. 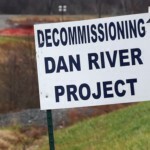 In the wake of the Dan River coal ash spill, which spewed 39,000 tons of the toxic waste into the scenic river, much attention has been given to the problems of leaky, unlined coal ash pits across North Carolina. What hasn’t received adequate attention is another menacing threat just upstream from the site of last year’s spill. Guest Contributor Caroline Rutledge Armijo: On Sunday, Residents for Coal Ash Clean Up met on Belews Lake, overlooking the smokestacks at Duke Energy’s Belews Steam Station in Stokes County, N.C. Today marks the one year anniversary of the coal ash spill into the Dan River, the third largest coal ash spill in our nation’s history but likely a drop in the bucket of what would happen if there was a spill at Belews Creek. Appalachian Voices lost a dear friend in late September with the passing of Annie Fulp Brown. Annie was a mother, a grandmother and a great-grandmother. 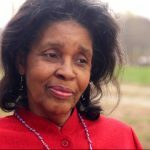 She was also a champion for her community and one of the first people in her neighborhood to speak publicly about her experience living next to the largest coal-fired power plant in North Carolina. 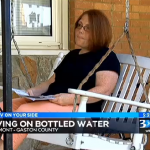 North Carolinians who live near coal ash ponds and have seen local waterways polluted are bravely speaking up about their experiences. 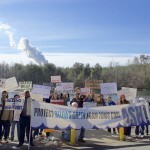 And as state government continues to fail to hold Duke accountable for its coal ash pollution, communities are taking a stand against coal ash pollution. 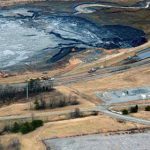 The N.C. Senate’s coal ash bill would put into law what Duke Energy has already committed to: cleaning up the most high-profile coal ash sites in the state. 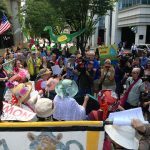 But in its current form, the proposal gives too much sway to the N.C. Department of Environment and Natural Resources and a coal ash commission that has yet to be created.